Marketing that becomes relevant and helpful to your customers. Inbound marketing focuses on the generation of content that pulls people towards your company instead of old marketing methods like buying ads or buying email lists. Let us help you to setup a successful inbound marketing campaign for your company. 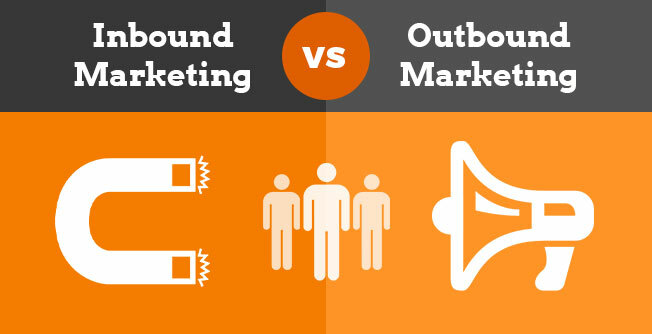 By creating content specifically designed to appeal to your dream customers, inbound marketing attracts qualified prospects to your business and keeps them coming back. This type of marketing becomes relevant and helpful to your customers, not interruptive and annoying, something they actually appreciate and like. With a comprehensive Inbound Marketing project, we offer a team of specialists and design a strategy tailored to your company. We do Automated Marketing. This means that we get prospects and track their activity on your website. We send the right information at the right time to introduce them to your products and services. With automatic and intelligent rules, we notify your sales team when a lead is ready. Attract the right traffic to your website, people who are most likely to become leads, and, ultimately, satisfied customers. Convert those visitors into high-quality leads by gathering their contact information in exchange for content that is of interest to them. Convert your leads into customers by nurturing them with e-mail automation and workflows that will boost sales. Not forgetting about your customers once they buy from you, inbound companies continue engage with delight with their customers. Before we offer you our Inbound Marketing service, we would like to talk to you about what this means. The easiest definition would be “the contrary of Outbound Marketing o regular Marketing”. Regular Marketing is based on strategies that work with cold calls, adverts in newspapers, billboards, radio, flyers or TV adverts. But in Inbound Marketing, the customer finds what he needs through search engines like Google, Blogs or Social Media and through Marketing Automation, we educate these customers in order to get them to buy as a final step. We used to have a sales market before; we say this because in the past it was necessary to obtain all the information about the person trying to sell to us. Today, with all the information available online, the market is now a buyers market. Did you know that 57% of all buying decisions online were taken before these buyers would talk with a sales person? Also, recent studies suggest that companies that generate content (either for blogs or social media) have 13 times more opportunities to have positive return on investment than those who don’t. That is why we have integral Inbound Marketing solutions for you, we analyze your Online Marketing strategy, your website is designed, your online store is built, we create an SEO strategy for Google and other search engines, we research and define the appropriate content for blogs and Social Media, we define advertisement in the web (Facebook Ads, Google Adwords) and we follow up all this with Marketing Automation campaigns and Lead Nurturing your prospects in order to help them decide and buy from you. Basically, we create a plan for your website to generate more traffic, more qualified prospects, more clients and ultimately a bigger revenue.